My you have clean floors! Terrific shots! Ahhhh...and the mighty claw machine....My sister put $80 into one of those one summer when she was 12. We've never let her live it down. Jessi: I am a secret glasses wearer. I really only wear them while driving and watching television. 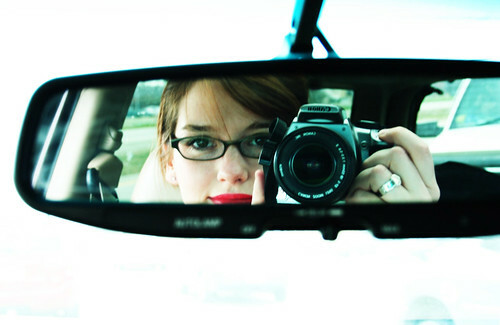 I did a car mirror shot for mine, too! Love them. 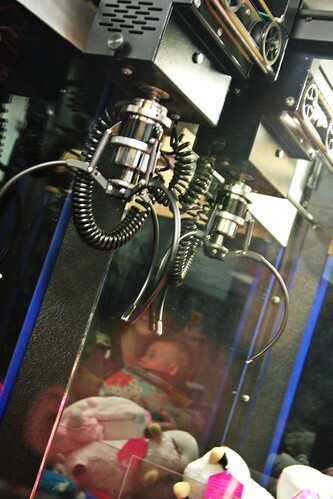 I love the third to last one, too, with your and baby's reflection in the crane machine. So pretty. I love the top one. At first I was wondering how you took two pictures and put them together to make them look cool, but then I realized it was the window frame! and I LOVE LOVE your mirror ones, pretty girl! Oh my! Alice's face while crawling on the floor is priceless. It looks like she's either going to completely burst into tears, or scream, or start smiling the biggest of smiles. I love babies! Erin these are great! The top of that first one looks like a painting! I love each and every one of them! The shot of your daughter on your beautiful hard woods is my favorite! Gorgeous pics!! 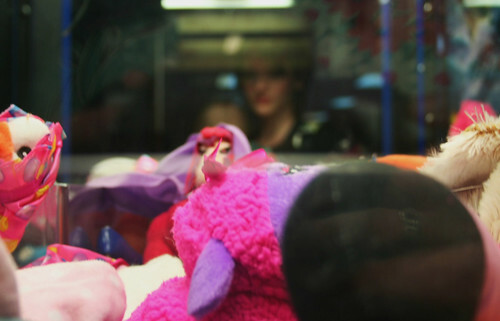 Love the reflections in the claw machine. Hope y'all had a good week! That first shot...is it through a window onto a mirror? Double reflection, VERY NICE! I really like the third one-almost a wistful feeling of the child looking at the machine, wishing for a chance! I love the last one! cool car shot. Who has floors that reflect so beautifully! That picture is amazing. As a matter of fact, all your pictures are really good. lots of cool shots here! 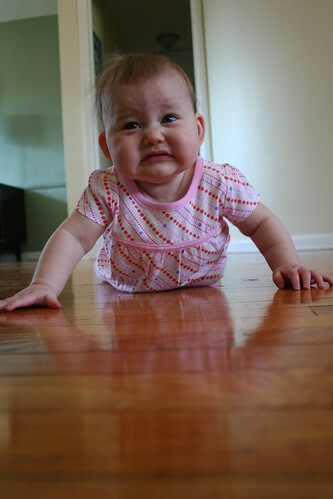 i especially like the one of your baby on the hard wood flooring - so sweet! 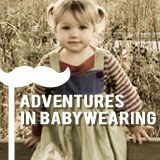 baby doesn't look totally thrilled though - lol! 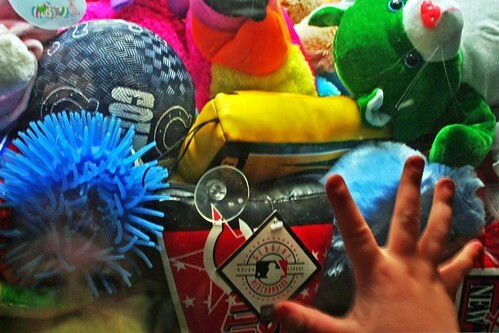 claw machine shot brings back memories of my kids - happy face :) thanks for sharing! There is always room at The Shadow of the Cross. Feel free to visit anytime. Great shots! What kind of camera do you use? 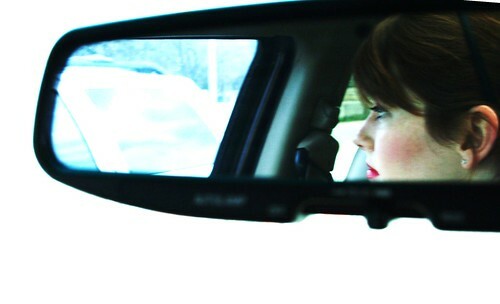 I really like the one of you in the rearview mirror. Great shot! 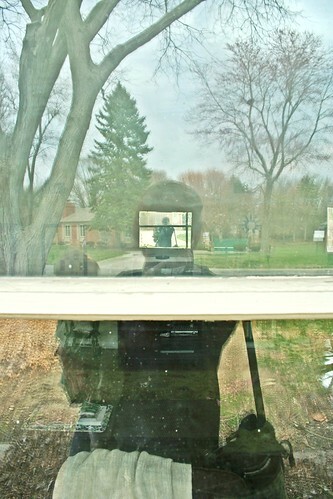 Swing by my site, The IE Mommy, to view my reflection shot. All really amazing shots. Very creative. They have those "games" now with Coach bags and iPods in them. I love, love, LOVE those last two shots! You are beautiful! And that lipstick? Fabulous! And your glasses? They're equally stunning on you. Finally got to see these, too. You look so glamorous in that last shot, like a super spy or Lois Lane. Love the shot of Alice, too. Her expression is priceless.